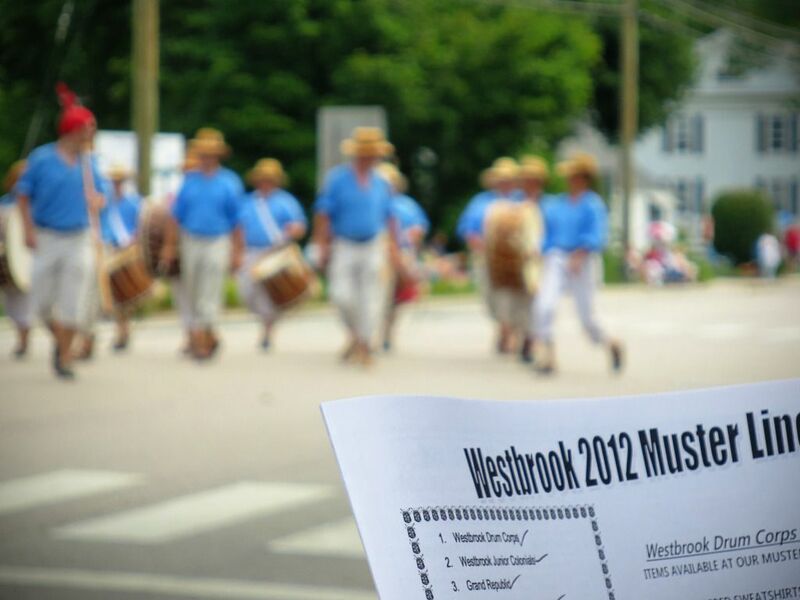 I mentioned a few posts back that I had gone to Connecticut for a fife and drum muster. Here are a few of my favorite moments from the weekend! When I was younger, my family used to go visit my grandparents on Cape Cod, and we always stopped at the Danbury, Connecticut rest stop to stretch our legs and have a picnic lunch. 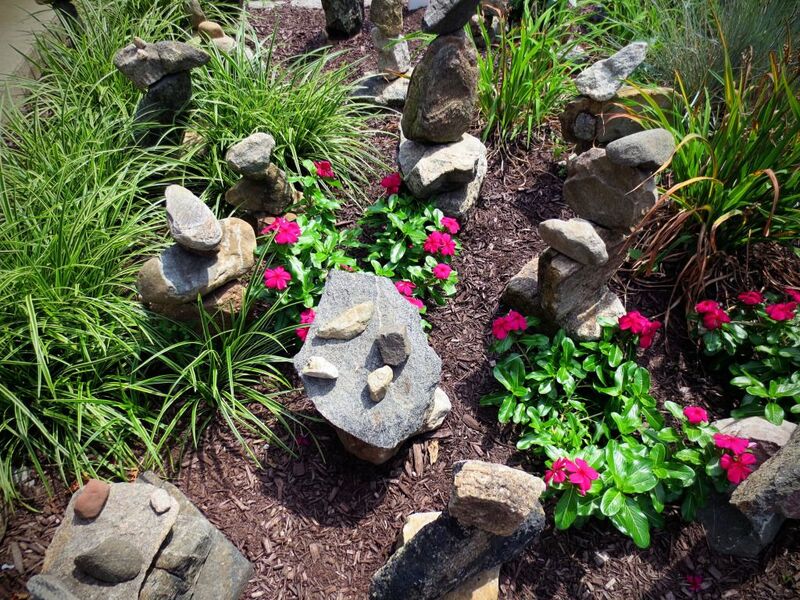 The ground was always covered with these cool little rock sculptures. A few years ago the rock sculptures disappeared, but this year when we stopped on our way to the Westbrook Muster, the sculptures were back! Yay! I watched the parade next to a very sweet man who had been coming to the muster for over thirty years. Every year, he checks off the corps that perform, "just to keep track." Our main canopy ended up right over a little puddle where water from the nearby basketball court drained, so we had eight amphibious companions for the festivities. It was really interesting to see their behavior-- at any given time, two of them were standing guard either side of the drain pipe. It was a little strange on the first day, having a frog pond in the middle of the campsite, but by Sunday, it somehow seemed perfectly normal! I hope your weekend is off to a fantastic start! Tomorrow I'm going to a wool and fiber festival, and I'll be hugging alpacas as much as I can. They have the cutest little faces, how could anyone be expected to resist? Heehee, aren't they cute? It was so much fun! And I took lots of pictures of the alpacas and llamas-- they'll be up soon! Hooray! Thanks Amanda! It was a blast! I love fairs, parades, that whole feeling of festivals! Those frogs are adorable! Random yes, but adorable :)! I do too-- you can just feel the excitement in the air! 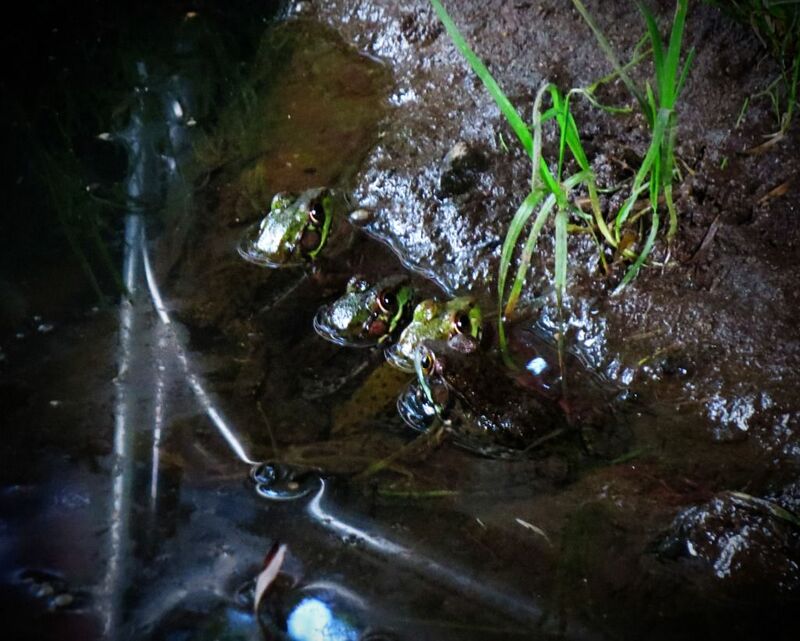 And the frogs were so nice to have around, they were very cute.